Here, running parallel with the full text narration of the book, you will find a series of interwoven stories, each featuring different individuals caught up in the drive and drama of living. You’ll follow their losses, wrong turns, dilemmas, trauma and triumphs–until each person finally arrives onto the way to happiness. Here is a film about life, finding one’s way and the persistence of the human spirit. 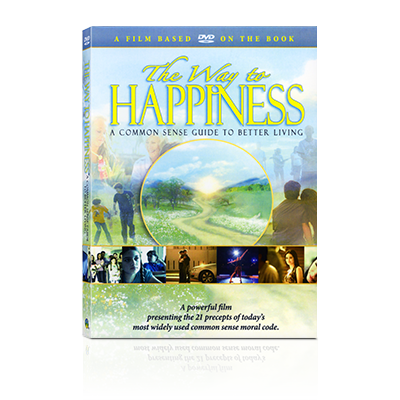 And in the end, you experience a riveting visual presentation of The Way to Happiness’ universal and timeless message—at once compelling and inspiring, a message you can now pass on to others and so enhance their survival and future as well.